GALLERIA AREA The Hilton Houston Southwest Hotel is NEWLY RENOVATED. Enjoy our new ambiance and our gracious Texas Hospitality. We are conveniently located at Hwy 59 (Southwest Freeway) and Hillcroft and are near the prestigious Galleria area and only minutes from the central business district, Reliant Stadium and the Medical Center area. 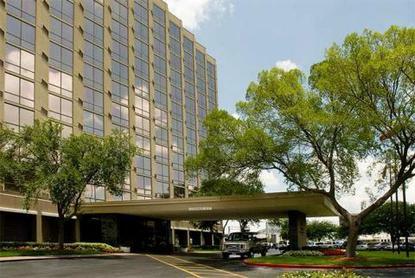 Whether traveling on business or leisure - the Hilton Houston Southwest Hotel is the perfect location We have free parking and provide complimentary transportation to nearby businesses and to the Galleria Mall. Our new, over-sized guest rooms have been sound-proofed to ensure a good night's sleep and feature high-speed internet access two-line phones with voicemail and dataports irons and ironing boards coffee makers Nintendo games 21'' color TV's with remotes. For the discerning traveler, we offer our Concierge Level rooms with upgraded amenities that include complimentary continental breakfast, evening turndown service, cocktails and hors d'oeuvres nightly. For dining, the Desert Rose Restaurant featuring Texas Style Cuisine. Try our Campfire Gator Wrap or Two-Stomp Chili or enjoy our Black Angus Ribeye with orange pecan butter. The Restaurant offers a warm Southwestern d?cor and a daily delicious breakfast buffet, excellent new lunch items on our menu as well as new dinner selections. Also, enjoy cocktails in our Poquito Bar after a busy day of business calls or shopping. Extra amenities that we offer include a fitness center, business center, outdoor pool, concierge, on-site car rental and airline desk, and a state-of-the art security system. At the Hilton Houston Southwest, we are all committed to providing the utmost in experienced, professional and gracious service - Texas Style Come see for yourself - It Happens at Hilton.